New product failure rates are often quoted at over 80% and fewer than 5% of new brands are deemed to be clear successes. We want to put this statistic to the test, so have built an NPD Monitor to review NPDs which launched in the UK 12 months ago. Our intention is to build this to a two year measure. Each month we choose 3 of these NPD’s to understand what has made them successes or failures, based on what we believe to be the 4 new product launch imperatives. The environmentally friendly movement towards recycling most household waste now means that rubbish is lingering in our bins for up to 2 weeks before it’s collected. The impact of this is that consumers have become troubled by ‘unhappy’ bins that smell and are plagued by unwelcome visitors such as flies and maggots. 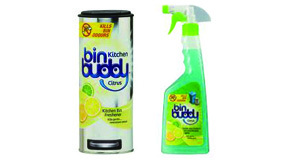 Since it’s launch in 2010, Bin Buddy is innovatively creating products to solve this new and emerging problem. This new product is specifically designed to tackle bin odours in the kitchen, caused by the organic waste caddies that so many households now have full of decomposing food. Bin Buddy’s very existence demonstrates that it really understands consumers’ problems and needs. Being the pioneer of solving a genuine, niggling problem goes a long way in gaining instant respect and credit from consumers. It doesn’t get much better than a consumer response of, “Finally, this is just the thing I’ve been waiting for” or “Genius, why hasn’t anyone thought of this before?”…the holy grail for all innovators out there, no doubt! The creation of a new, standalone category, combined with a fun self-explanatory name and positioning and a unique duo of benefits (lasting freshness and kills pests) already raises this brand’s head above the parapit. What’s more though, they also give the important reassurance that the product won’t harm the environment. The powerful combination of so many strong and unique features make this innovation pretty invincible to any future competitive launches, plus the fact that it’s first to market! It’s surprising that it doesn’t yet have any competition from established and reputable household cleaning brands – where are Flash, Domestos and Dettol? A quick way to fresh smelling, germ free bins – this product launch leaves little to the imagination! There is nothing about this product offer or product positioning that suggests Müller is attempting to satisfy a new consumer need or occasion and therefore grow the category. They appear to be targeting the impulse snacking consumer who will be consuming on the hoof, whose primary need is emotional – enjoyment through flavour, and secondary need is reassurance that it’s not too ‘naughty’ in the health stakes. Consumers are most likely to associate Müller with great taste and variety in yogurt, so the expansion to an adjacent dairy category makes their chilled flavour milk entry a natural and fitting development. Pack Structure – If resealable is a ‘must’, what about other, more ownable options for the diary chiller – like a sports-cap bottle? Due to the lack of uniqueness, consumers were probably having a hard job being able to justify the price premium vs. Frijj. 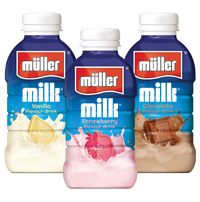 Müller was offering 100ml less (400ml), for 10% more (£1.09) than Frijj. Side by side, I expect consumers would actually expect to pay more for Frijj as the product texture promises to be extra thick, which is likely to be associated with delivering a more authentic ‘american diner’ milkshake experience. It’s key that the pricing strategy for any innovation is driven by it’s competitive market positioning and product proposition. Authentic Indian food is typically seen as complicated to prepare, indulgent and unhealthy. 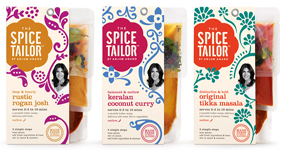 The Spice Tailor appears to have identified a need in the market to break through this stereotypical perception and offer a fresh, healthy and easy alternative. What’s more, they are also elevating the authentic in-home Indian meal experience to a new level, through delivering on ‘restaurant quality’ to address the unmet needs of consumers who enjoy fine indian food at home. This is a “can’t be bothered” product for people that actually could be – if time and cupboard space were no issue. It’s without doubt that the personal mark on this brand gives it a great amount of credibility – thanks to Anjum’s established TV cooking fame – and warm, no-nonsense, modern and expert approach to Indian cooking. That said, assuming for a moment that Anjum wasn’t associated with the Spice Tailor brand, it would still be very credible. It does this through demonstrating that the brand really understands consumers and what they are looking for – quick preparation time, authenticity, involvement in the cooking process, being able to tailor the flavour according to individual taste preferences and made with fresh ingredients. Not only does this brand understand and deliver against the basic consumer needs, but also all of the unmet needs of the category today. This launch has a plethora of unique features compared to traditional Indian cooking sauces. 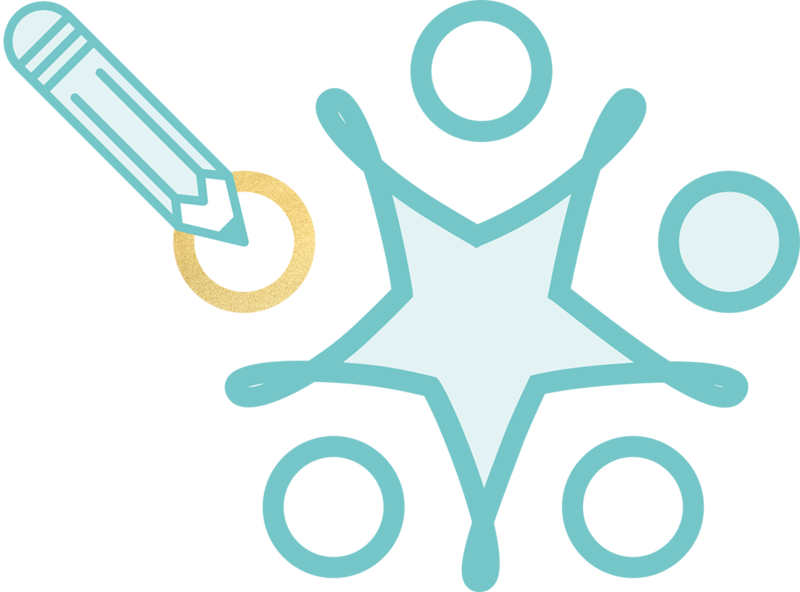 Consumer involvement: the 3 component parts allow the consumer to feel like they are ‘cooking’, and also gives them the flexibility to tailor the dish according to their needs. Unique Recipes: British taste is continually evolving, the more we travel and taste more authentic Indian food, the more we seek it out. Yes, we will always love our Chicken Tikka Masala, but what Anjum brings to this range are the new flavours and taste experiences, with recipes such as Punjabi Tomato Curry to Keralan Coconut Curry. Interruptive packaging format: the tiered pack introduces a brand new style which stands out from the traditional glass jars that dominate the category. Distinctive Positioning: this brand captures the diversity and vibrancy of contemporary India, and is a departure from the old world heritage. Clean Process: only natural ingredients – no nasties. Made fresh in small batches. What’s not to understand? Even a cooking virgin would quickly and simply know how to use the product, and the promise of what it delivers couldn’t be clearer either – through execution of clear features and benefits and a ‘does what it says on the tin’ brand name and positioning.